We have previously presented key indicators like Internet population and e-commerce market size on Southeast Asia, present and future. We have previously presented key indicators like Internet population and e-commerce market size on Southeast Asia, present and future. You can read The Ultimate Guide to E-Commerce Statistics of Southeast Asia if you haven't done so, or just to refresh your memory. Here, we would like to build on to the numbers, especially after we stumbled upon a special report by BusinessNext, our favourite Taiwanese ICT magazine. This special report is about how businesses in Taiwan see the e-commerce potential of Southeast Asia. 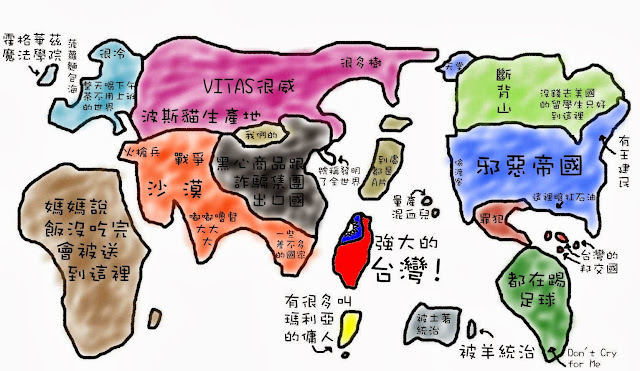 Philippines = Many maids with the name of "Maria"
Only Philippines from Southeast Asia featured in their "world map" above. 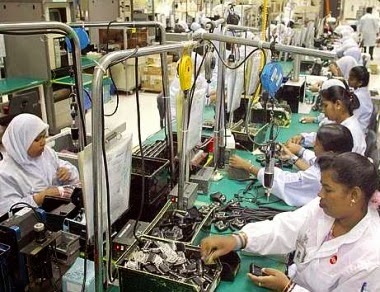 In reality, Southeast Asia used to be insignificant as it is known as a region that produce labour. Due to lower labour cost, a number of Taiwanese businesses were setting up their manufacturing plant in this region many years back. However, Southeast Asia has transformed itself from Factory (labour workers) to Market (consumers) at least recently, and for years to come. According to IMF, the GDP of "Asean 5" (Philippines, Indonesia, Malaysia, Thailand and Vietnam) will reach USD 2.436 trillion in 2014. As a whole, it will overtake Four Asian Tigers (Hong Kong, Singapore, South Korea, and Taiwan) at USD 2.408 trillion for the first time ever. As recent as 10 years ago, GDP of Asean 5 was only half of Four Asian Tigers. This is seen as another shift of Asian economy since China overtook Japan in terms of GDP 3-4 years ago. If we look into the total population of Asean 5 (plus Singapore), 545 million is close to 8% of world's population. Internet users are also growing fast in this region with 153 million (6% of total Internet users in the world). Even any of the country above (except Singapore) currently has more Internet users than Taiwan boosted with 76% Internet penetration already. With Internet penetration still to grow, Southeast Asia is definitely one of the fastest growth area in the world, an e-commerce market that can't be neglected as a whole. What do Taiwan's businesses think about e-commerce potential in SEA? It's time to enter Singapore and Malaysia now as the e-commerce market there is matured. Thailand and Indonesia are the other markets with big potential, but it's better to build brand reputation first by leveraging on brick and mortars. Southeast Asia is also a region with good language literacy, whereas understanding English is not a problem especially in countries like Singapore, Malaysia, Philippines, Thailand. If you look at the good side of English literacy, Internet users in Southeast Asia can be easily adopted to Internet services from the West like Google and Facebook. The down side of this is, there are less innovations in this region, thus less competition for Taiwan's businesses to penetrate this market. At the same time, businesses in Taiwan is also feeling a threat from Taobao, so there is an urge for them to go abroad, and Southeast Asia provides a good opportunity for them. Taiwanese feel that they have an edge over Western countries due to geographical advantage, and China market is not saturated yet for Chinese to start thinking too much of Southeast Asia. However, as compared to big markets like USA where everyone consuming burger and beer, each country in Southeast is different and complex in its own way, in terms of local language, religion and culture. This article is translated and edited from Issue #231 of BusinessNext.